The Hobbit, by J.R.R. Tolkien. Published in 2004 by Harper Collins. Matching in style and presentation the deluxe The Lord of the Rings, the Deluxe Children of Hurin released in April 2007, the Deluxe Silmarillion released in September 2007, the Deluxe Tales of the Perilous Realm and the Deluxe Legend of Sigurd and Gudrun. 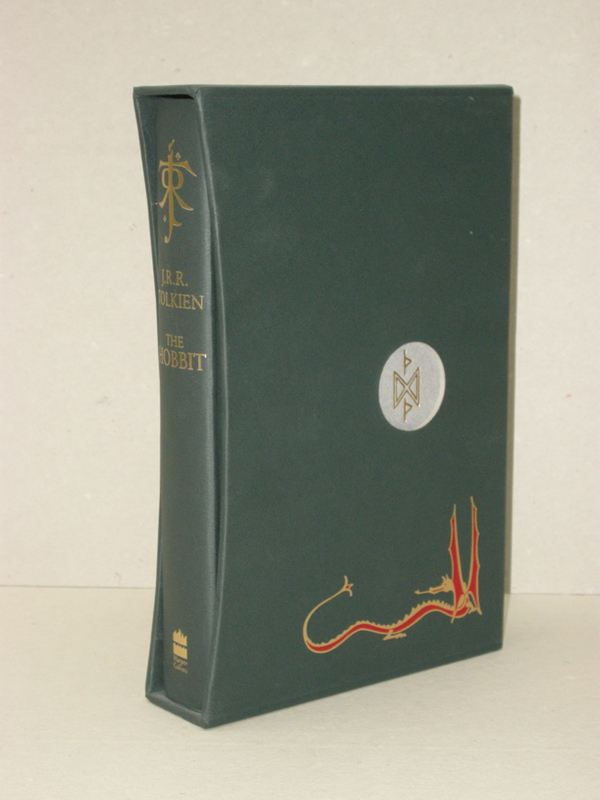 The 2004 Deluxe Edition of The Hobbit. Exclusive 16 page introduction by Christopher Tolkien about the history of 'The Hobbit'. The illustration, "The Three Trolls are turned to Stone" by J.R.R. Tolkien, appears for the first time. Fully illustrated by the author, with 14 illustrations appearing in full color. Also appearing for the first time is a fold-out version of Thror's Map, with the 'magic' runes only visible when the map is held up to the light, as the author intended. For the first time the Map of Wilderland appears in blue and black, as the author originally intended. Tolkien's drawing of Mirkwood appears as the front endpaper and interior illustration. 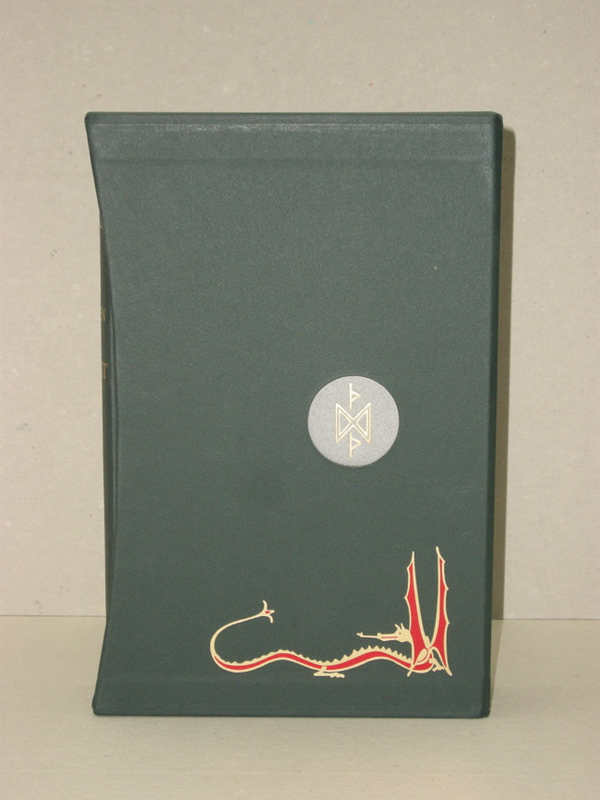 Quarter bound in green, stamped in red and gold foil on grey boards, and housed in a matching slipcase. Printed on superior quality paper and including a green silk ribbon marker. This Deluxe Edition is a beautiful addition for any Tolkien collection.